I’m going to preface this by admitting that this post was physically painful for me to pen. It broke my heart, but I know it was very much necessary in this day and age and stage of our life. While it was painful, we pushed through and were both so glad we did it by the end. A couple of months ago when Tim and I went to our first marriage enrichment retreat, there was one activity over the course of the entire weekend that wasn’t my favorite by a long shot. 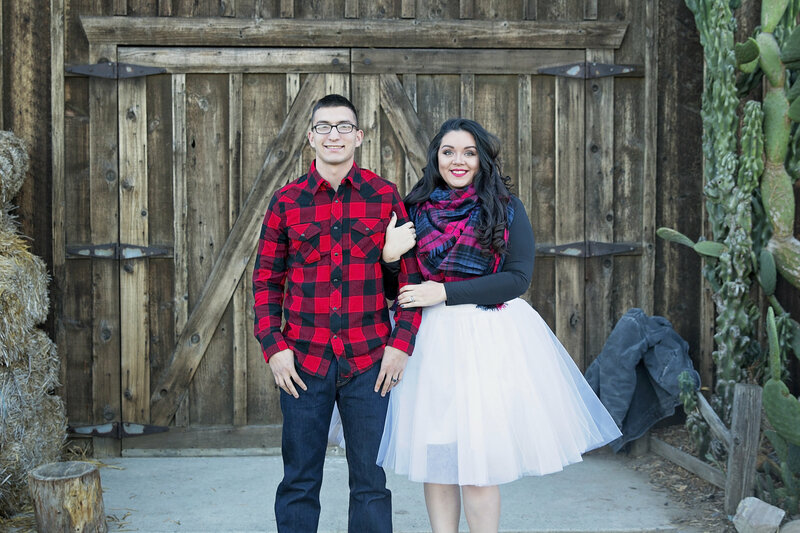 When we were seated in the group setting (but still separated into our individual couples), the instructor told us a story of a young service member and his wife who got married young and quickly began their life in this whirlwind lifestyle together. He was to deploy shortly after their wedding, and because of that, they took the opportunity to attend a workshop similar to the one we were at to prepare for such. They participated in the activity that was on the projector before us, titled “A Letter to My Spouse: A Reflection on Death and Dying”. He went on to say that while challenging, this couple in question found it to be a helpful part of their retreat, and they were able to return home feeling ready to face this upcoming deployment. Of course, it couldn’t end there. Why would it? Our facilitator then proceeded to inform us that the service member deployed as planned, but never came home; he had been killed in action. At his funeral services, groups of people flocked to his now widow, offering their condolences, any support, etc. When asked if she had any regrets or anything she wishes she would have done differently, though, she advised them that she didn’t. She said she’d poured her heart out to her late husband when they’d participated in that activity at their marriage workshop – he passed knowing everything she wanted him to know from this life, and she found comfort in that fact. We were then instructed to open our materials, where we found a packet including a questionnaire and pages to write our own kind of letter as the one from the story we’d just heard. I was devastated. I was still a newlywed wife who was just beginning to enjoy married life with my best friend. We hadn’t even finished celebrating all of our “first” married milestones. We only recently got to live under the same roof again. After spending the better part of a year away from each other, I was supposed to sit here and write out a letter to my “dead” husband? I didn’t want to think of anything like this. I tried my best to bawl my eyes out as quietly as physically possible and not make a spectacle of myself. There were a few other people who’d gotten emotional during this exercise, too, but this struck a serious cord with me. Tim remained tight-lipped himself, but reached over to hold me and comfort me. We were asked to at least attempt the activity for a few minutes, but were told we were released for the night whenever we wrapped up. I managed to answer a couple of the initial questions, but I was too emotional overall to carry on then and there. Fortunately, Tim was content with leaving when I wanted to, and we managed to otherwise occupy ourselves enough for me to calm down. We promised to complete that exercise at another time, one that I would hopefully be better equipped for. Death is painful, life-changing, and heartbreaking. And talking about death is taboo and uncomfortable. It isn’t something we particularly want to spend what precious little time we do have together delving into. I’ve experienced loss in my life, and I didn’t want to imagine my husband in that role, or force him into it about me. But with so much unpredictability unraveling in the world today paired with his career path and the overall uncertainty of life in general, no matter how much we may want to push these feelings and those thoughts aside, I’d be far more devastated if anything did God forbid happen without letting him know everything in this little heart of mine that I would want him to just because talking about it now made me emotional. We revisited that task recently and found it made us both just as emotional as it had that day, but we somehow had an easier time of completing it this time around. Of course, we exchange sweet words, sayings, and the like on a daily basis. But this exercise made us reach beyond that. It presented a series of truly thought-provoking questions that made us think and share far deeper than we may on an ordinary basis. It warranted the kind of responses that wouldn’t leave us saying, “I just wish I would have told them…” by the end. I’m not going to publish the exact content of what was written and exchanged between us, but it was truly an eye-opening and marriage-strengthening experience. Tim and I have always been really good about being able to openly discuss the tougher stuff together – and I’ve loved that about our relationship – but this one was difficult in an entirely different way. There were more tears and ugly crying and holding each other than even I anticipated. It brought us to an entirely new level of intimacy and closeness and I couldn’t have hoped for anything more than that. While I don’t ever want to live a single moment of life without this man, we did vow “’til death do us part” on our wedding day, and I’m more confident than ever that should that time God forbid come before I’m ready for it, there wouldn’t be any words left unsaid between us. It certainly isn’t something I would’ve thought on my own to do, but I’m glad we took this on as a couple and were able to take so much away from it as well.